Traditional, stone built Lakeland Cottages modernised to provide simple but comfortable accommodation. Cottages are available from Saturday 14.00 to Saturday at 10.00. Also Lonscale, a self-catering facility accommodating up to 28 guests. Facilities vary between cottages. Please do contact us to let us know if you have any specific requirements. Note: Access for wheelchair users is at the Lonscale unit only. Children welcome from any age. From M6 jct 40 follow the A66 towards Keswick. Threlkeld is off the A66 before you reach Keswick. 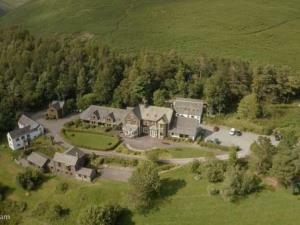 The centre is located at the end of Blease Road approximately 1.5 miles from the centre of Threlkeld. All Lonscale rooms are en-suite, with one unit specially adapted for wheelchair users. Please let us know if you require this room at the time of booking. Large print information can be provided on request; as before please advise us of your requirements when you book.